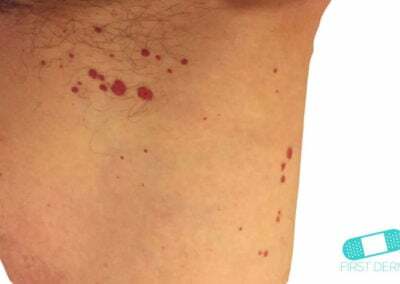 Leukocytoclastic vasculitis, also known as hypersensitivity vasculitis, is an inflammation of blood vessels that forms small lesions on the skin. The direct cause is unknown, but vasculitis is often linked to autoimmune disorders. It could also be triggered by allergies, medication, or an infection. 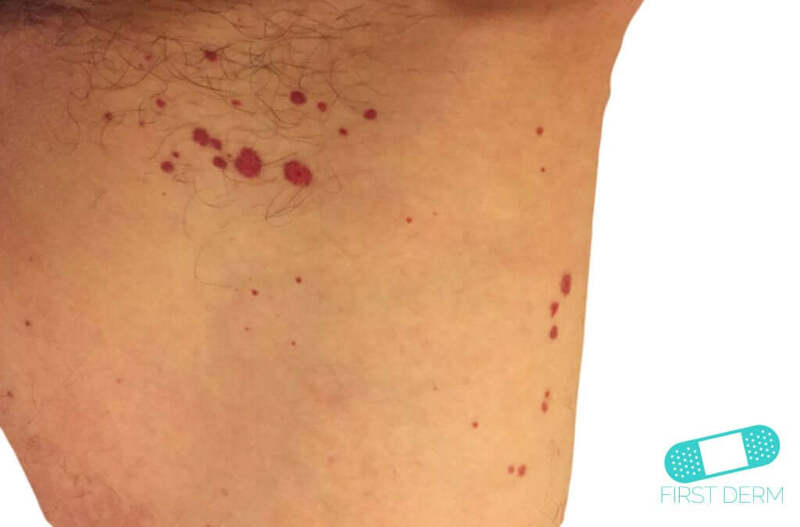 Inflammatory bowel disease, rheumatoid arthritis, lupus erythematosus, Sjögren syndrome, and less often malignancy are some of the various conditions associated with the vasculitis. 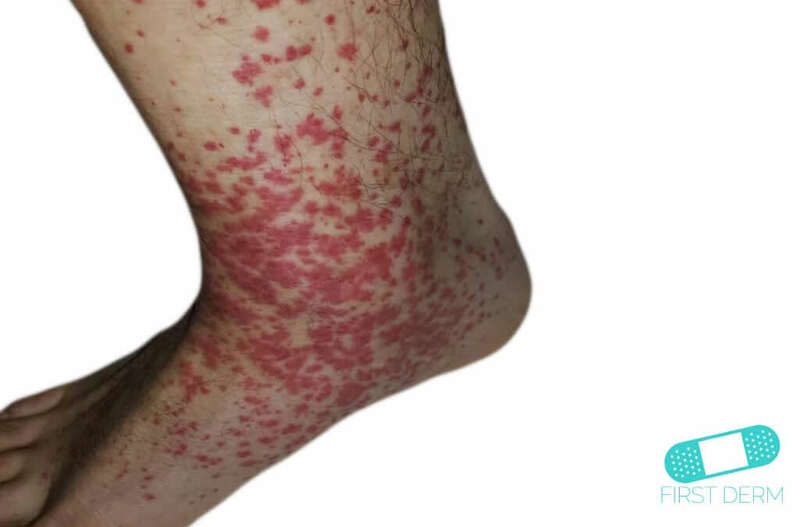 The disease is usually limited to the skin, but it can also affect many different organs of the body such as the kidneys, central nervous system, heart, gastrointestinal tract, and lungs. 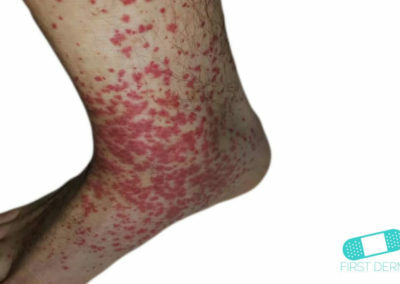 The drugs that are most frequently listed as being associated with the development of leukocytoclastic vasculitis include: penicillin, cephalosporin, sulfonamide, some medicines used to control blood pressure (loop and thiazide-type diuretics), phenytoin and allopurinol. 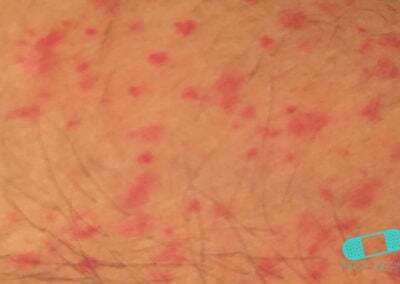 Infections that may be associated with leukocytoclastic vasculitisinclude hepatitis B or C virus, chronic infection with bacteria and HIV virus. Vasculitis usually appears on the legs and looks like a purple rash or hives. 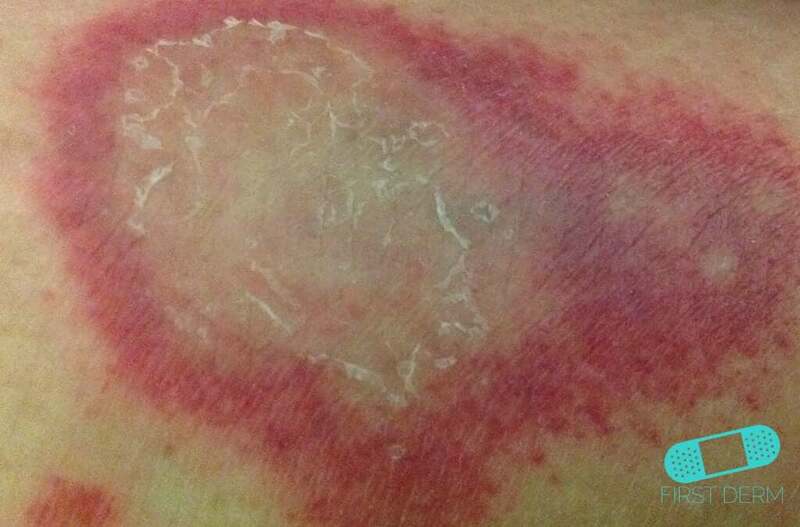 This is because damaged blood vessels leak into small areas and form grouped lesions. 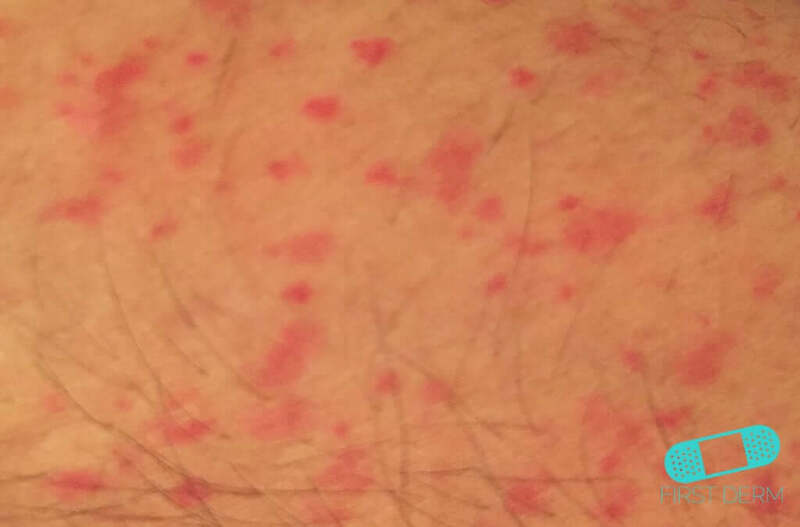 These lesions typically appear on the legs. 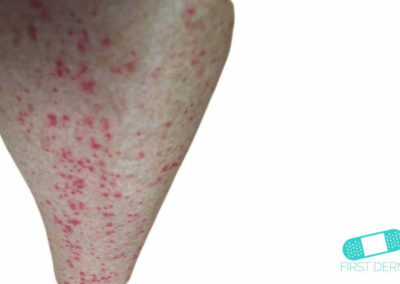 In most cases, the lesions are asymptomatic or are slightly itchy and painful. 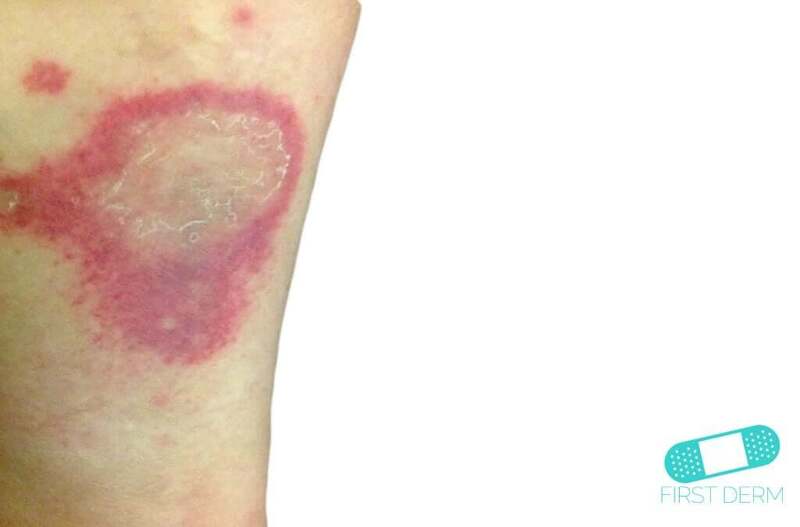 However, in the case of severe vessel inflammation, large and painful blisters appear. They may also ulcerate. Fever, muscle aches, weight loss, and joint pain can also be symptoms. Some may also experience blood in the urine or stool, abdominal pain, vomiting, cough, numbness, and weakness if the disease involves other systems. 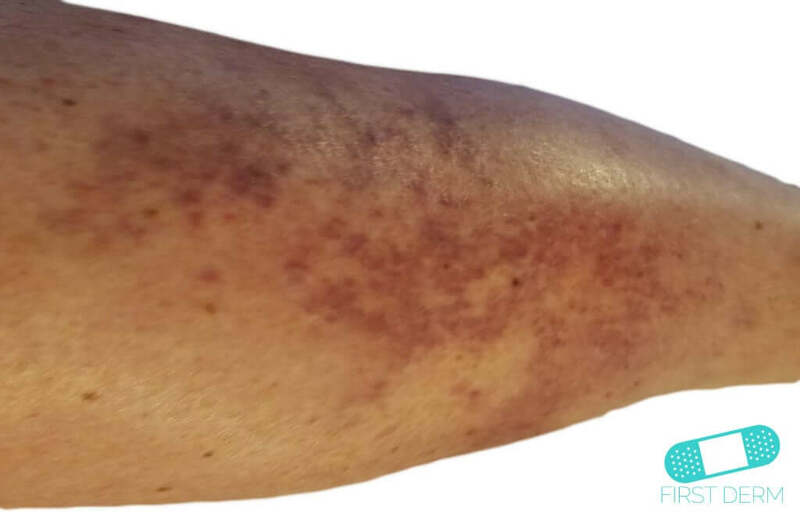 Some types of vasculitis are long lasting while others only last a short time (1 to 4 weeks). In severe cases, the blood supply to tissues and organs gets cut off, causing damage and even death. If you have just started a new medication, speak to a healthcare provider about the possibility of drug-induced leukocytoclastic vasculitis. In most cases, symptoms begin 7 to 10 days after the exposure to the drug or infection, but can be as short as two to seven days in some people. 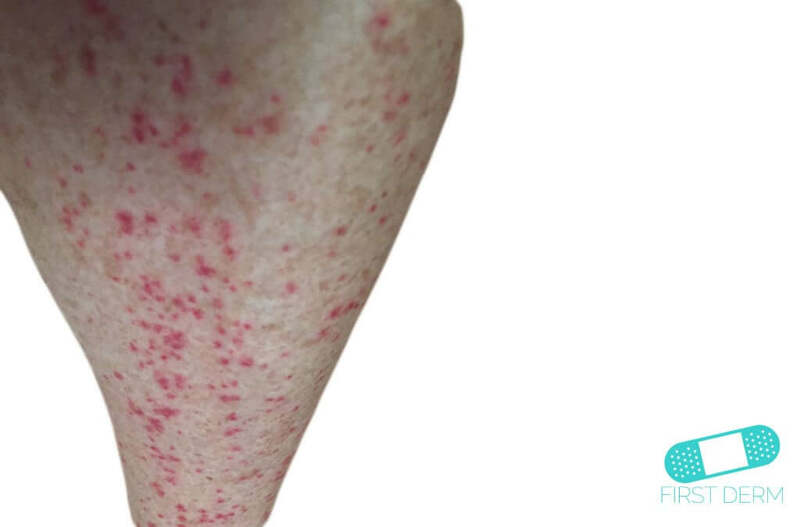 You should seek medical care if you suspect that you have leukocytoclastic vasculitis. 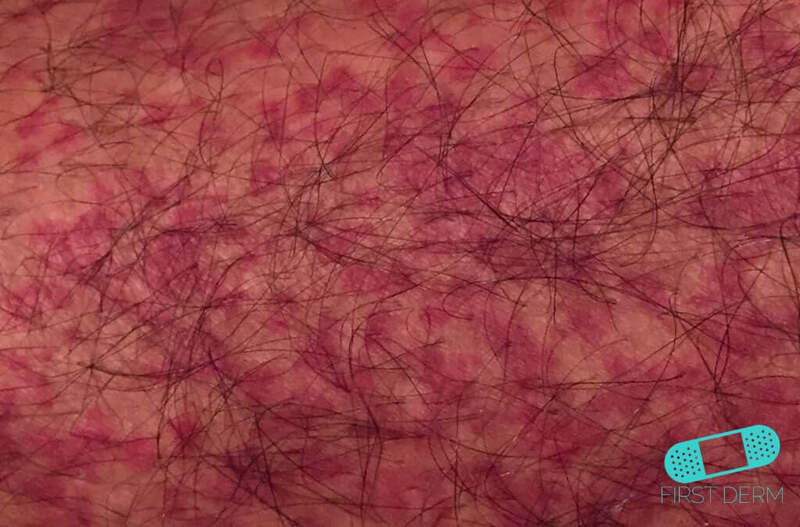 Organ involvement in addition to the skin rash is very rare, but can be severe. A physician can usually make a diagnosis by looking at the lesions, while a punch biopsy can confirm the diagnosis. However, additional tests are necessary to rule out associated systemic diseases. Tests to consider include a complete blood count, urinalysis, serum chemistry panel, rheumatoid factor, hepatitis panel, HIV serology, antinuclear antibodies, and chest radiograph. Corticosteroids can reduce inflammation. Systemic corticosteroids and immunologic medication may be necessary for severe cases (when internal organs are involved or severe ulcerating skin lesions are present). Removal of the drug, infection or food that causes the condition can result in rapid clearing in as little as 2 weeks. Some studies also show evidence that colchicine and dapsone may be helpful in chronic cases.